This is another in my series of blogs about the grief process and how it changes over time, the aim of which is to help others in the same situation. I am now 17 months post the death of my brother and almost 12 since the death of my father. So scroll on by if this is not your bag. Obviously, things have moved on and the grief is not as raw as it was at the beginning. I was a lot closer to my brother than to my father (nothing against my dad, but that’s how it is/was) so I still feel his loss acutely on some days. I still think of him every single day, and I still do things to memorialise him. For example, I am just about to publish another of his books, which should be out by Yule/Christmas time. Small things tend to hurt the most now like a small child introducing me proudly to “her big brother”, and thinking “I don’t have one any more”. Sounds pathetic, but that is how it is. And that is the reality of how I feel. I honestly don’t think there will be a day go by where I do not think of him in one way, shape or form. Deep down I don’t believe I want that day to come either. And because I don’t want it, it won’t. I can say that it changes over time and the pain becomes less ‘sharp’, so if you are reading this in the early stages, things will change and get easier. Emotionally, I am not too bad in terms of the crying aspect of grief. I still suffer from bouts of depression, particularly if I dwell on the fact that apart from my sister and myself none of my birth family are alive any more. No matter how many other people you have in your life, that is still a feeling that makes you feel somewhat vulnerable. Probate is still ongoing, I am still having major stress from idiot financial companies who cannot seem to provide one figure to a solicitor in time for a completion date on my brother’s flat. This is now entering it’s 13th month, and the last chat with my solicitor involved the possibility of removing the flat from sale and returning it for repossession. This is a major cause of increased stress and anxiety. Plus I don’t see it ending anytime soon. There is no set end time to grief. Despite appearing to have gone back to normal, getting on with things, and so on, my worst issue at present is anxiety. I have days where I feel so anxious I don’t want to go outside. Driving can be a complete nightmare for me. I cannot be around anyone who is likely to rain on my parade, because any form of disapproval or negativity sends me into the beginnings of panic. Even snide remarks on Facebook can on my bad days practically reduce me to tears. This has been going on for at least 9 months. I feel bad because I am unable to be as supportive of others as I would like to be and I know that often they don’t understand that this is not unwillingness, I just don’t have the reserves left in me to take on board other people’s issues. I am on medication which I don’t want to take because it’s addictive so I keep it for emergencies and rely on herbal remedies instead. Telling people about this produces 2 responses in the main: supportive from most because I hide it well and mostly they are surprised to hear it, but from the minority the (spoken or unspoken) accusations of being an attention seeker. Believe me, if I could click my fingers and have this anxiety leave right now I’d do it. I’d rather seek attention for doing good things! I’ve received a lot of support from most people, but the minority continue to make life difficult either by passive aggressive remarks, thinly veiled accusations of profiteering from my brother’s death (God I wish! With an estate with a deficit of tens of thousands I don’t think I am going to be moving to the Bahamas any time soon! ), and other cruel and unnecessary things that happen from time to time. I guess what I am trying to get across here is that if you are suffering from grief be easy on yourself, healing takes a lot more time than either yourself or others believe, and if you are around someone who has lost a loved one remember that often people still need your support months or years after the event, but they just don’t tell you. About a month ago I wrote a blog post about my driving phobia so thought I would give you an update. I have had to be fairly strict with myself and make myself drive if not daily, then at least every other day and even if it is only a short distance. So, has this helped? Yes! I set up a ‘fear diary’ in which I noted my anticipated fear of the drive, and the actual fear, and also ticked off each road driven. I still feel nervous about getting into the car, but I tend to go the quickest way now rather than go the long way around to avoid certain sections of road. The sections of road that were an issue are still problematic, but it is becoming less over time. I have still not driven on very large A roads, but I have negotiated the local bypass a few times without too much of an issue. Being able to look back over a paper record of all the roads I have driven on, and how little fear I actually experienced at the time has given a much needed sense of perspective, and of achievement in seeing how far I have come on in a short space of time. Quiet and calm. No sudden movements or noises from passengers and no constant extraneous chit chat. This tends to jangle my nerves and make me more anxious. It also makes me grumpy and I will have a go at passengers who piss me off whilst driving, because on one occasion I did actually have to pull over and it set me back in my progress. I often feel calmer when driving alone. Conversely, I find playing relaxing music can help. A sense of purpose to the journey. If I have somewhere to go, something to do, it helps motivate me to work through any feelings of anxiety during the drive. I can focus on the outcome. Also once back home the drive seems ‘worth it’ because it enabled a good time to be had, or a task to be completed. Symptom easing stuff. The most unpleasant symptom I get whilst driving is an extremely dry mouth and the feeling of being unable to swallow. Having a mint, or some water in the car is a must have item. It removes the symptom almost immediately. Relaxing for a few moments before starting the drive, and focusing on some deep breathing also helps prevent the onset of fear like feelings. Drop Your Shoulders This helps promote the overall feeling of being relaxed. To check to see if your shoulders are as relaxed as you think they are, hunch them up, hold for about 5 seconds and then relax. This is what your shoulders should feel like when driving, they should not be up around your ear. Posture and technique. I picked this up from a book by a police driving instructor who now specialises in teaching nervous drivers. Ensuring that your hands are on the 10 to 2 position on the wheel not only gives you more control, it also makes you feel like you are in full control. Keep your arms relaxed and slightly bent at the elbow. Adjust your chair so you are not perched forward in a tensed position. It sounds basic, but a lot of us don’t do this after we have been driving for a while and especially when we are nervous. It does help. Appreciate the car. Think about how lucky you are to own this amazing piece of kit, which will take you all over the place quickly and in comfort. Think about all the safety developments that have been made in motor vehicles, and how much safer you are inside the car than trying to cross a road or ride a bicycle! Ignore Unsympathetic Haters and Inconsiderate Road Users. Remember you have as much right to be on the road as anyone else. It is also your responsibility to drive according to your own level of skill and confidence. Don’t let arseholes who want to zoom along at top speed bully you into going faster if you do not feel confident to do so. If someone is tailgating you, slow down and let them pass, or pull over and just focus on what a sad little muppett they are. You won’t see them again after the 5 seconds it takes them to pass you! Don’t let anyone tell you that you are just being stupid or pathetic. Yes, these are just feelings, but they are still real! The symptoms are unpleasant, and the fact that you have taken steps to try to overcome this should be applauded and respected and not ridiculed. It says a lot more about them than about you. Don’t Get Angry. People who inflict their road rage on others are as likely to suffer from a phobia as their victims are. It all adds to the overall tension on the road, and in your body when you drive. As I become more confident I shall be going not only further afield (which I have started doing already) but also onto larger roads. I intend to plan the trips so I know exactly where and when I am going onto the road and coming off the road. This way I believe I will feel more in control, and be able to extend the journey time on these roads. After this I may consider a motorway driving course. Thanks for reading, and if you are suffering from fear whilst driving, I hope these small blogs help if only a little. I have a Driving Phobia! This is a new thing. I have been driving since I was 17 and had passed my test before I turned 18, so I have in actual fact been a fairly competent driver for around 33 years. I also have a motorcycle license which I passed at age 17 so I am not a stranger to the roads. I am now working on overcoming this because I actually used to like to drive, and could drive anywhere and anything. I decided to write a blog documenting my progress, for myself and also for other people who may be experiencing a similar situation. Talking to people recently has made me realise how common a level of fear is for people who drive so I am not alone in this situation. The answer is I don’t really know. I have had a couple of very uncomfortable experiences whilst driving on busy roads, particularly unfamiliar roads, tunnels and bridges. I had a nasty experience on a motorway once. My VW camper caught fire under my seat whilst I was driving it. But at the time I moved past these things and just carried on. I have had about 18 months of acute stress: 2 deaths, got married, moved house on top of the usual stuff we all have to deal with from time to time like financial issues and so on. 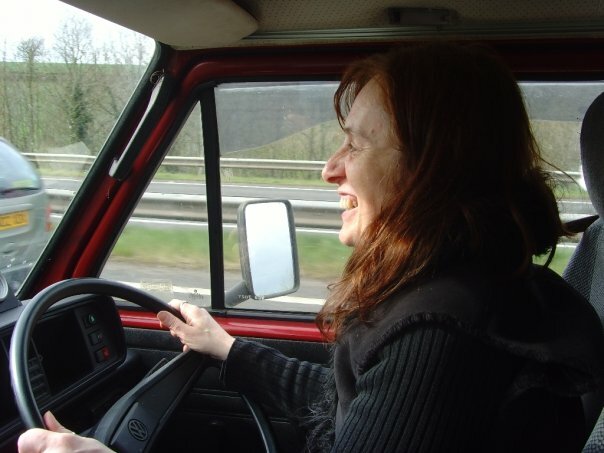 Having done a lot of reading around the subject, I feel that my heightened anxiety with driving may well be a response to the general anxiety in other areas of life, coupled with a bit of depression related anxiety (which I am being treated for). All of the stuff I have read seems to agree on 2 things: 1. I should not avoid driving and 2. The cause is not as important as how you deal with the actual problem. My avoidance of motorways has just made matters worse and left me in a position where I am now unable to drive on certain busy A roads, notably the A303 which I now also avoid. The only upshot of avoiding the A303 has been that the fear has transferred onto other busy roads including the Glastonbury bypass which I was traveling on daily until recently. Even a journey along the Street Road this morning produced feelings of nervousness and fear on a journey which I have done many times without even thinking about it. This is not good, and cannot be allowed to continue. Not only is it inhibiting me in terms of leisure activities it is also severely hampering my employment prospects anywhere that is not within walking distance of my house!! I have been reading a book which is all about basic Cognitive Behavioural Therapy and I plan to gradually move towards more adventurous driving. This involves keeping a record of your anticipated and actual fear levels, a log of roads and other bits and pieces you don’t like and ticking each time you do it. Eventually what you already know rationally becomes part of your subconscious and you stop feeling the physical symptom of fear each time you drive. This morning I drove on 2 roads I don’t enjoy. My anticipated fear of both of these were 6/10. My experienced fear was 4/10 so objectively and subjectively neither were as bad as I had anticipated. On one road I had an anticipated fear of 2/10 and the actual score was zero. I also have 3 ticks in my road log proving that I can overcome this! If you are experiencing similar things I’d love to hear from you.